As most of you know, I absolutely believe that accessories completely make an outfit. 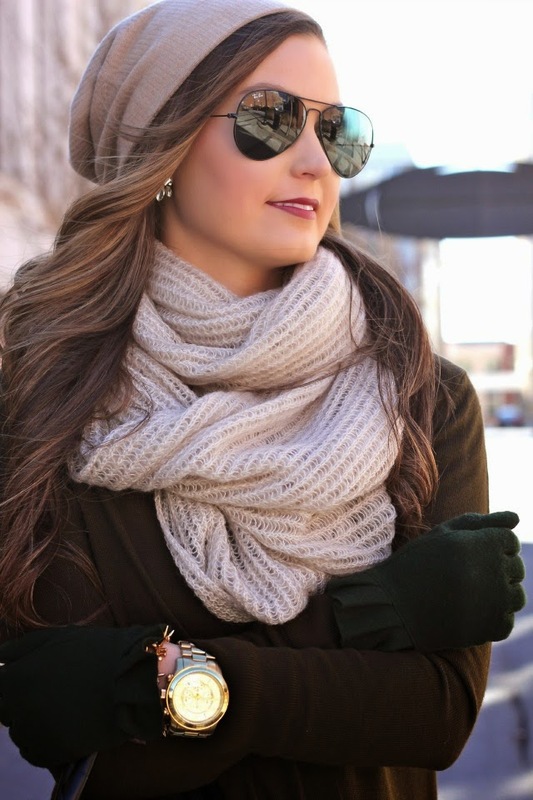 During the fall + winter months, I love stocking up on chic hats, gloves and scarves to bundle up in. The Echo collection at Nordstrom has so many different styles + colors and is completely affordable. For this outfit, I decided to pair darker colors like green + black with cooler neutrals for a cozy look and threw in stripes + leopard for a subtle pop. These pieces are definitely cold weather staples that can be worn again and again throughout the season. 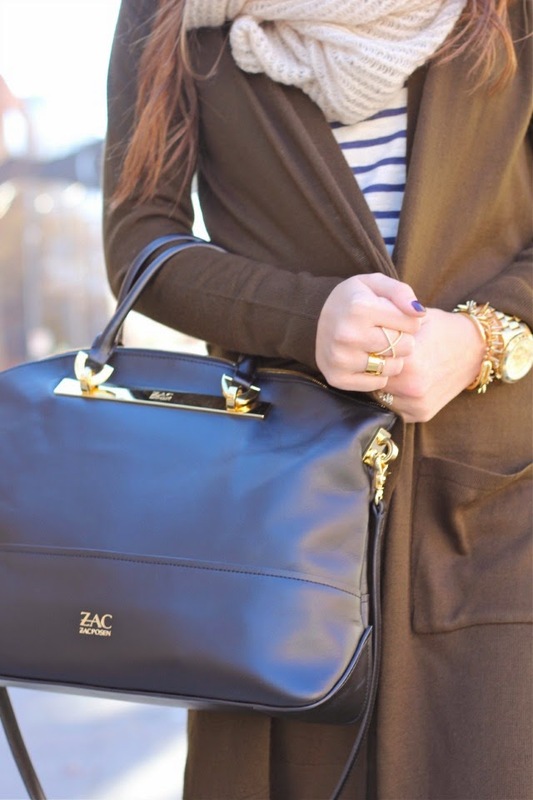 LOVE that cardigan on you! if I saw it just on their site I wouldn't have given it a second look, but you totally rock it and now its in my shopping cart! Gorgeous outfit. I love the long cardigan. Love this look!! Great post Megan! I love this knee length cardigan. Great post. I love this look! I think the leopard flats definitely make the outfit. Love the length of your sweater! 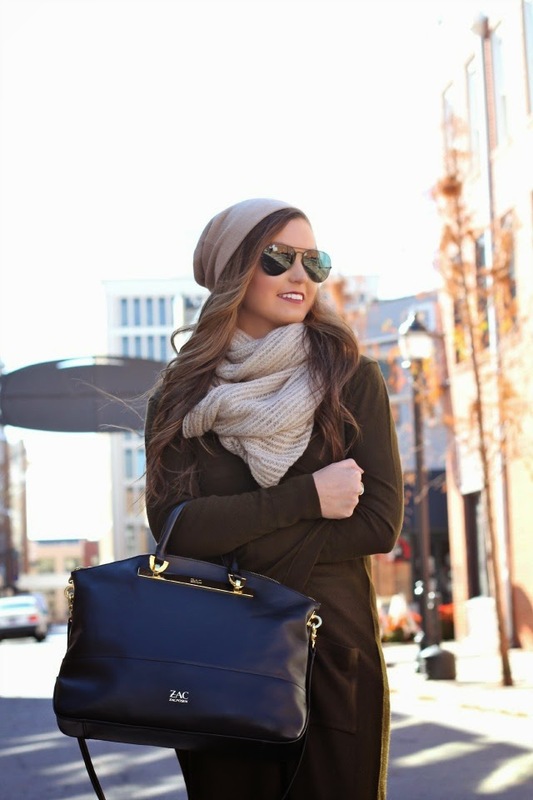 That bag is adorable and I love your scarf! I could not agree that accessories help to make an outfit especially during the winter when you're always wearing a jacket! I love your gloves and your leopard shoes are perfect! In this outfit I especially love your cardigan! Great dear!